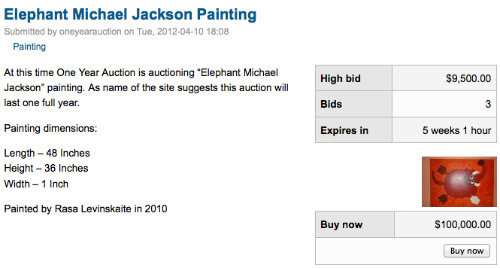 Can An Elephant Lady Gaga Painting Sell For $1,000,000 In A One Year Auction? 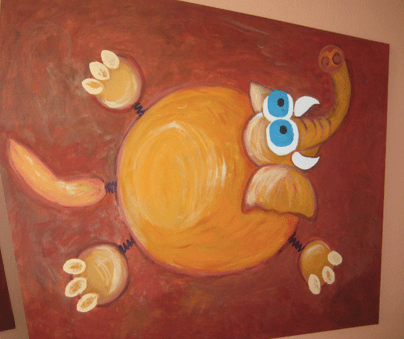 KillerStartups > Startup Spotlight > Can An Elephant Lady Gaga Painting Sell For $1,000,000 In A One Year Auction? We did a story last year on Rasa Levinskaite, an artist who created the website OneYearAuction.com to put her art up for online auctions. Sounds pretty average, right? Not really. You see, Rasa wanted to see if her Elephant Lady Gaga painting would sell for a “Buy Now” price of $1,000,000 within the year it was on auction. OK, so this might sound a little gimmicky to you, but I personally think it’s genius. Here’s why. Rasa’s painting (and patience) paid off and her online auction experiment turned into a nice fat bank account injection. Though she didn’t get her original $1M sticker price, her Elephant Lady Gaga painting had 33 bidders and a final purchase price of $450,000. Almost half a million dollars, people! All this for an unknown artist with a brilliant idea. If you think that’s a ridiculous sum of money for an elephant painting (which I happen to find kind of amazing), think again. 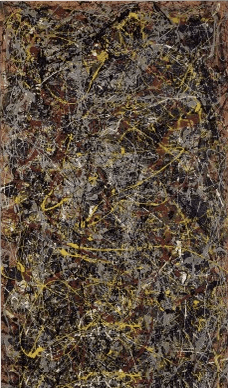 In 2006, “Number 5, 1948” by abstract artist Jackson Pollock sold at Sotheby’s Auction House for $140 million. Yes, you heard me right. And, this type of painting purchase was not a one-off. Willem De Kooning’s “Woman III” sold for $137.5 million in 2006 (granted this particular painting was named one of the 50 masterworks of the history of painting). Find the complete list of the most expensive painting purchases here. Rasa’s $1 million mark doesn’t seem so far-fetched now, does it? Guess what? Not only is Rasa putting more of her paintings up on the site for one year auctions (as the domain name suggests), she’s sharing the love by opening up the auction to other artists. Simply register here, name your price (don’t be shy) and see if there are any big bidders out there a la the proud owner of the Elephant Lady Gaga painting. The site features a listing of Rasa’s paintings including all the deets (dimensions, “buy now” price, highest bid, how many bidders and when the auction will expire). It also has a blog with all the latest online art auctions, site news, and some fun facts about Lady Gaga… naturally. Rasa’s experience is just another example of the power of the Internet, people, and a crazy idea. Here’s a no-brainer – the Internet has connected billions of people from all walks of life with different tastes and bank accounts. Lucky for Rasa, her online experiment worked out pretty successfully and she’s now richer for it. If you’re an artist, potential bidder, or just a browser, check out One Year Auction and get inspired to paint your own million dollar pop star animals.